Debi these photos are just gorgeous of you I always admire the way you do yours I wish mine were half as good!! The photo of you on the Carousel is FAB. I hope you're having a wonderful time, and I will see you in FOUR days!!! Oh yay! Looks like you're having so much fun! Too cute :) I'm totally addicted to sailor dresses! Shows you how bad my geography is - I always thought Oregon was in the midwest! 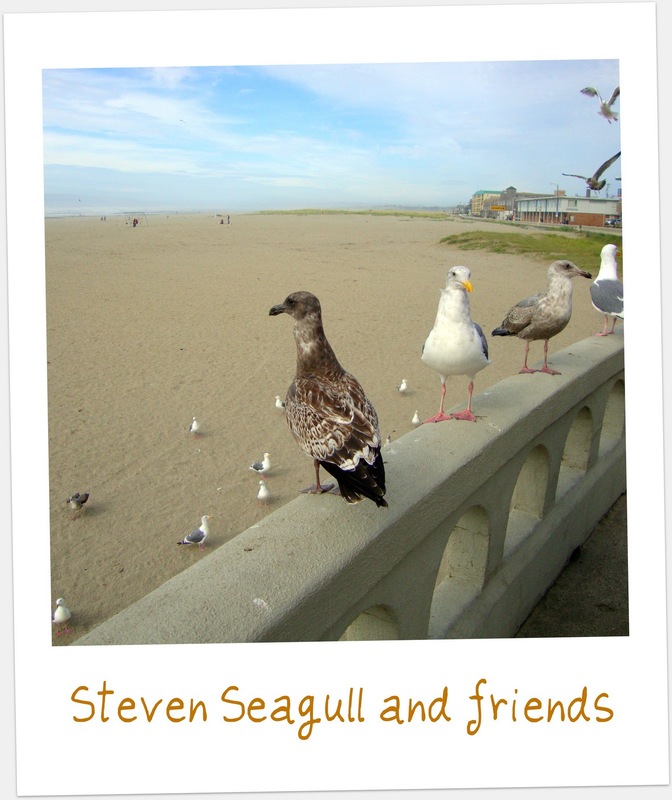 Hope your travels are proving a good time. You look lovely as ever, bunny. Love that dress. Great photos! 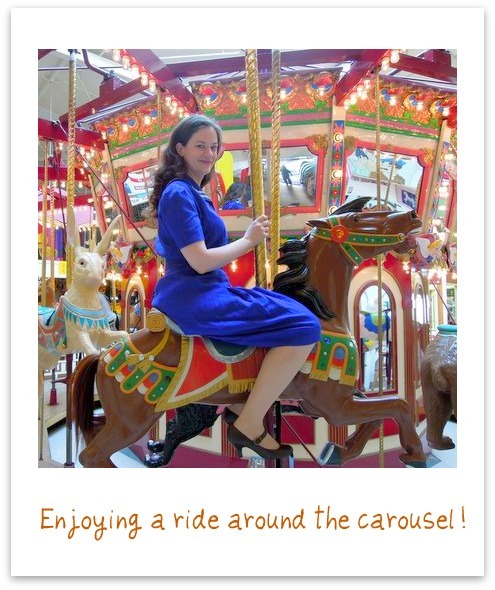 Lovely photos -- Especially on the carousel! 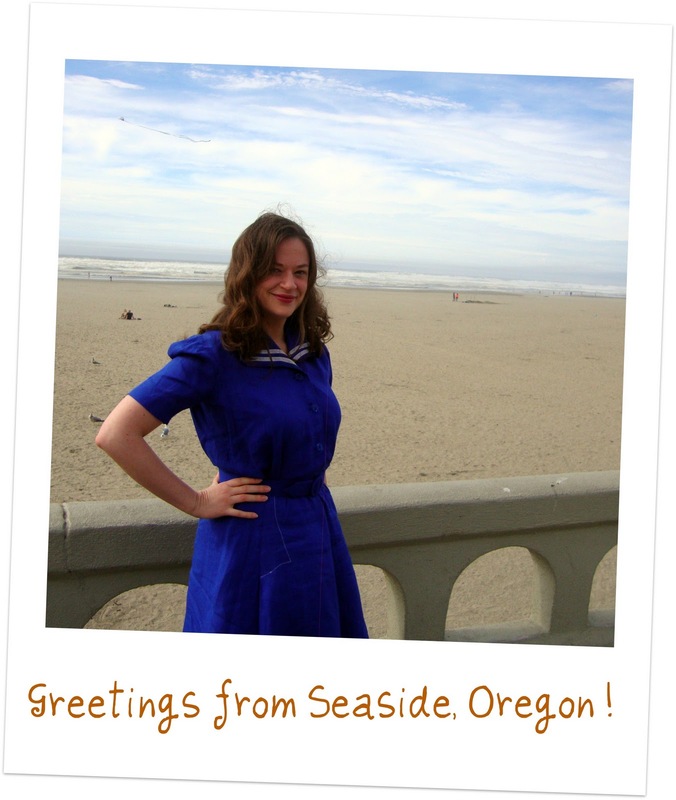 Is there anything more fun than a sailor dress at the coast? Also, welcome back to the PNW. Sorry the weather has been miserable and gloomy here! Hopefully you caught the good weather on Saturday. I love the dress and the green pants in your previous post. You can't beat a sailor dress at the beach! The photos are great as usual. I love the dress. I didn't realize you were in Oregon! Hope you are enjoying our green/ rainy state :D. I guess it's not too different from Scotland. Beach, carnival, perfect sailor dress, my head is going to explode! So awesome!